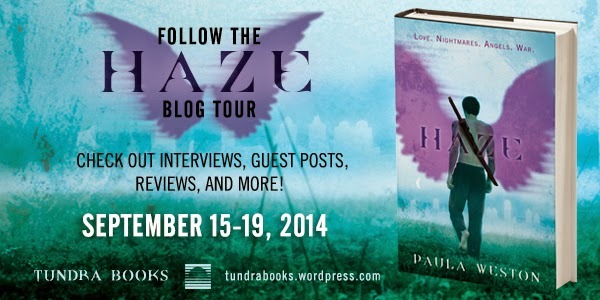 Welcome to the Haze Blog tour! 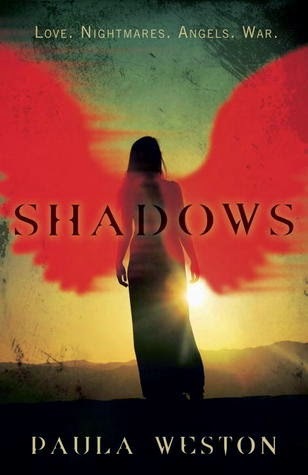 In Shadows we were first introduced to the Rephaim. It was complicated for someone who had lost their memory. Gaby discovers that she is much much more than a girl who has encountered tragedy and lost a loved one. Her life is much more complicated and valuable. In fact, she is so important that people are looking for her...but what do they want from her? Ah, Jude! Book #2 of the Rephaim series centers around discovering more about Gaby's planted memories and the possibility that her brother may still be alive. Before she lost her memories, they were on different sides. But what if he were alive now? Would he remember her? Would they still be feuding? To be honest, the first half of the book was a bit of a slow read for me. It could be for you as well but there are plenty of details that will help you understand the last 1/2 of the novel. The book REALLY picks up about 1/2 way through as Paula weaves her story and the reader feels more integrated. I felt like I was reading at warp-speed!! There is some serious pulse-pounding, heart-thumping action! Things start to get very involved as we see the relationship between Rafa and Gaby develop. After all, he becomes the main character she depends on. Jason also begins to shape into a better supporting character in Book #2. There is so much that starts to be uncovered in Haze! Thank god there are 4 books in this series! I'm not sure that Paula could have packed so much into a trilogy! One of my biggest concerns when reading a series is that a title suffers from "second-book" letdown but Paula pulled out all the punches and kept me engaged in the story. 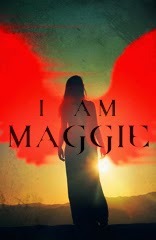 Book #1 helped shape the characters and Book #2 shaped the story with plenty of intrigue and action to carry the reader into a suspenseful, anticipatory wait for Book #3. Overall, I am really enjoying the Rephaim series. I think you will too so I'm going to offer up a GIVEAWAY! 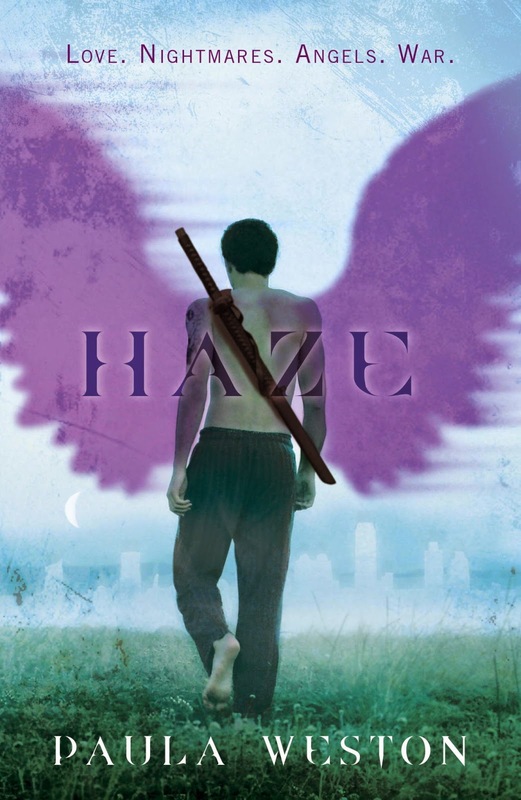 You can choose either Shadows (Book #1) or Haze (Book #2). The rules? You must be a follower of this blog. The contest is open to anywhere The Book Depository ships. Additional entries can be earned by following the directions in Rafflecopter. GOOD LUCK! The contest will run until the end of the September. A HUGE thank you to Paula Weston and Tundra books for including us in their blog tour!! For those of you who have read either Shadow and/or Haze, which character would you be most likely to hang out with? An exciting series I really want to read! Her second book was just as good as the first- and I can't wait for the third!